Santa has fallen sick this winter holiday! Ms. Claus has been cooking some of her most powerful chicken soup, but even that’s not powerful enough to cure Santa from his perilous cold! He won’t be able to make his first deliveries until much later than usual — but that is TOO late to deliver ALL of the presents! You and other elves have been chosen to help make up for Santa’s missed time! Fly over cities and drop presents down chimneys. Maintain a 70% success rate to save Christmas! Watch out for planes – you don’t want to crash! Christmas Crisis is a great freeware arcade game for Mac and Windows. Even while it is a kid’s game, it is still definitely fun for all ages! Check out Christmas Super Frog on our site for another great free Christmas game! You’re on a relaxing vacation at a desert resort when your peaceful afternoon is upturned by an armada of pests! 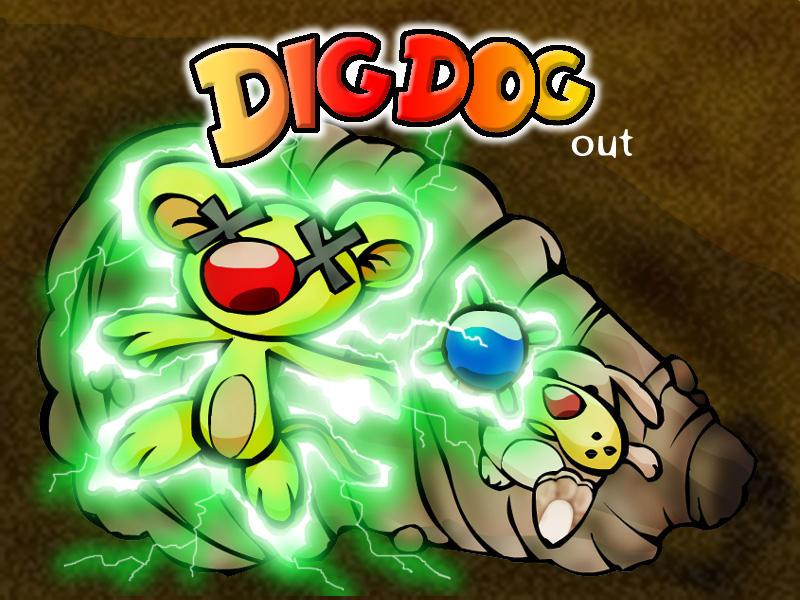 With every bug you squash, you gain new skills and obtain new weapons to help defeat these bothersome foes. However, after you escape home, you realize they’re becoming much more than simply bothersome – it’s an invasion! Battle three major bosses, including a Scorpion Den, Wasp’s Nest and an Ant Infestation, and then face the ultimate challenge of destroying Pandora’s Box once and for all! Traverse three unique and exciting worlds: a desert resort, your home, and an infested swamp. The world needs your skills to save itself from certain peril. Pickup that fly swatter and do some damage! December 14, 2014 Arcade, Games, SoftwareXing Interactive B.V. The Pirate Treasures is a funny game about pirates and their difficult life. You should help Willy, a small pirate, to collect treasures all over the world. Start on the pirate ship, then go further and further and you’ll find gold, rubies, crystals. And maybe if you avoid all dangers you’ll even be able to steal treasures from aliens! Try a hundred levels in ten worlds. There are many traps, so be attentive. And believe it, the small pirate will be happy if you help him. 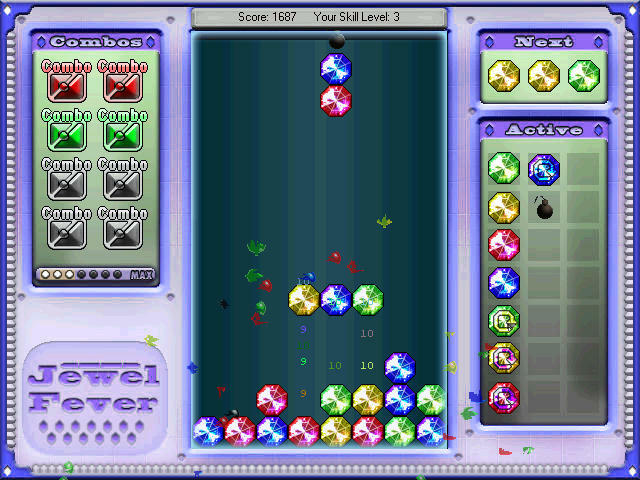 Get ready for feverish puzzle action in Jewel Fever! 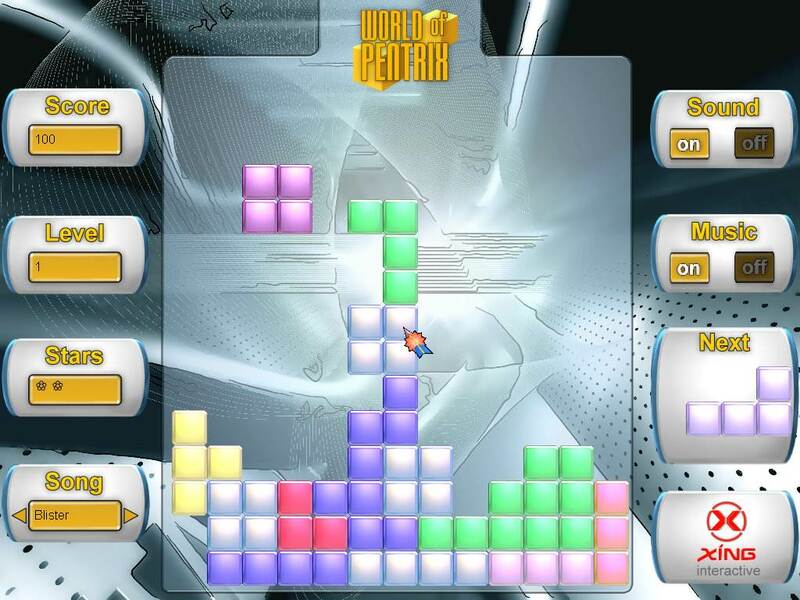 Get ready for feverish puzzle action in Jewel Fever! 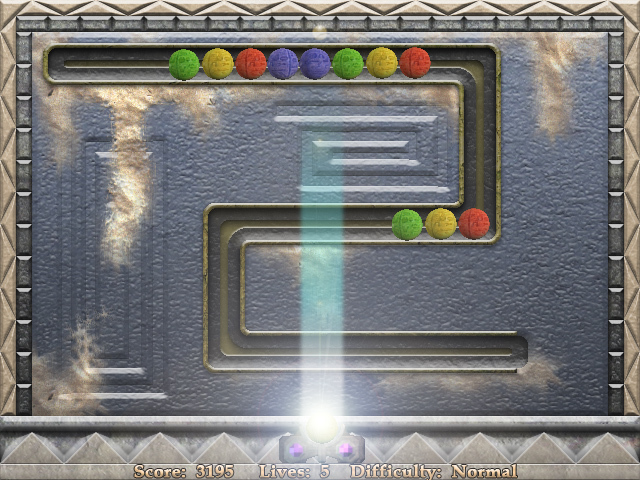 Rotate the jewels as they fall into place, connect three or more in a row to clear them away! As you progress watch for new jewels to be introduced that affect the board in various ways! With this game is no wonder you caught the jewel fever… Here are some key features of “Jewel Fever”: ? 2 Modes of gameplay for an even greater challenge! ? Over 10 different types of jewels! ? Awesome and fun 2 player mode! Embark for the Bali jungle as you brave the puzzles created by unknown forces in an effort to rescue your friend! Help Super Nanat rescue the Princess from the evil Goddess Vivi Siputko and the devious King Oeloeng. Save Alyssa from the clutches of this hairy ape! 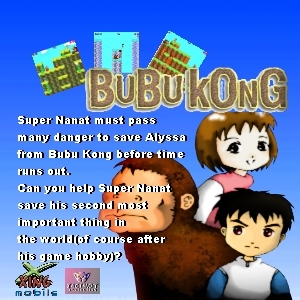 Super Nanat has to make it safely through 50 levels of mayhem in order to rescue his girlfriend. This family friendly arcade game is the first jump & run game in the series of Bubu Kong, Super Nanat and Alyssa games on the market. Great fun for all ages! Help the little Dragon get back the Gold evil Monsters stole from him! Classic platform action with hordes of enemies to defeat and many worlds to get through safely. Dutch and English language included. Help Rex the Dog get rid of pesky vermin in his backyard! In this modern version of the classic arcade game you blast rodents, scorpions and other enemies while looking for Rex’s burried bones.